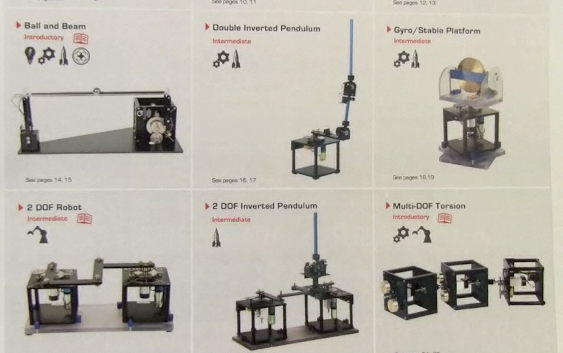 Dr. Tom Lee highlights the teaching and research flexibility of Quanser's Rotary line of experiments. The Rotary Servo Control Lab accepts a wide array of add-on modules, including the inverted pendulum module seen here. A high degree of flexibility is one of the benefits that controls professors can expect when putting together a lab based on Quanser solutions. The reason: Quanser labs are composed of a small number of versatile, high quality, modular components and peripherals—elements you can easily mix and match to teach a wide range of control concepts and courses, from the most fundamental to the most advanced. You can also use these same modular elements to conduct advanced research. Above are some of the Quanser add-on modules from the Rotary lineup. This high degree of flexibility and functionality continues in our Linear, Mechatronic, Specialty, Custom and Unmanned System devices. 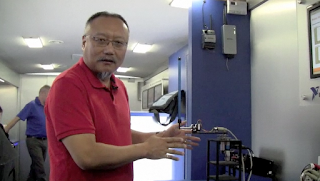 Watch as Tom Lee, Quanser’s Chief Education Officer, discusses Quanser’s flexibility from a unique location: inside the National Instruments (NI) Campus Tour vehicle that is currently touring North American campuses and demonstrating the functionality of some of Quanser’s and NI’s joint offerings.